108 people rescued by a Turkish ship were being taken to Libya. When they realized it, they took control of the vessel and diverted it north to Europe. They were locked up and have now landed in Malta, where they still remain. One by one they left the Turkish ship El Hiblu1. The first person was a woman carrying a baby in her arms. Like her, about a hundred others left the vessel. Three men wrapped their wrists as if they were handcuffed. A total of 108 people rescued in the Mediterranean and suspected of abducting a vessel arrived here Thursday at the port of La Valleta in Malta. It was 9:30 am (at least an hour in mainland Portugal) when El Hiblu1 docked at the port. As they left, people were taken to police vans that would lead them to the Marsa registration and identification center, not far from there. 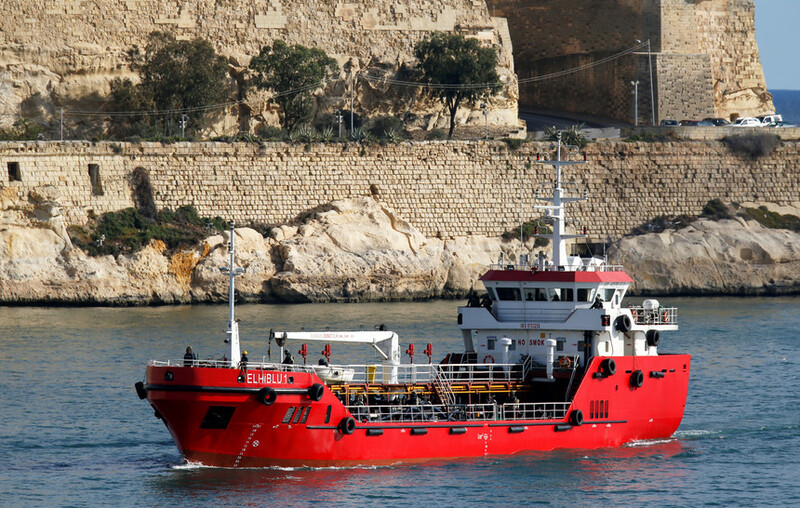 The vessel, built in 2015 and under the Turkish flag, was immediately seized by the Maltese authorities, who will conduct the investigation. The group was rescued off the coast of Libya by El Hiblu1, a cargo vessel and oil transport. Later, the crew received instructions to sail to Libya, where it was supposed to contribute. However, during the trip, when the group of migrants realized what the destination was, the authorities, quoted by Reuters, claimed, seized the ship and forced the crew to change the route. At six nautical miles off the coast of Libya (a little over 11 kilometers), the path of El Hiblu1 changed: it was going to Europe. It was only on Thursday morning that the authorities were able to take control and return the ship to the captain. The Maltese authorities will open an investigation into what happened. Until arriving at La Valleta, El Hiblu1 was escorted by the authorities and some soldiers were placed inside the vessel. The fate of these 108 people is not yet known, but they will be registered and will be investigated by local authorities. Also, Mediterranea Saving Humans, one of the private organizations with a rescue boat in the Mediterranean, called for compassion for people on board, defending Europe’s need for action “in the name of fundamental rights.” “They are human beings who are fleeing from hell,” he said, quoted by Al-Jazeera. As soon as news of the existence of another boat in the Mediterranean with rescued migrants appeared, Italian Prime Minister Matteo Salvini, as usual, assured that no port in the country would receive El Hiblu1. “These are not migrants in disgrace, they are pirates and will only see Italy through a telescope.” Since June last year, the Government of Italy decided to close the ports to rescue vessels operated by non-governmental organizations in the center of the Mediterranean. “Poor children of the shipwrecked, who hijacked a merchant vessel that rescued them and they wanted to decide the route of the cruise,” quipped Salvini quoted by the Ansa news agency as referring to what he considers to be “the first piracy offshore by migrants” and a case of “organized crime”.